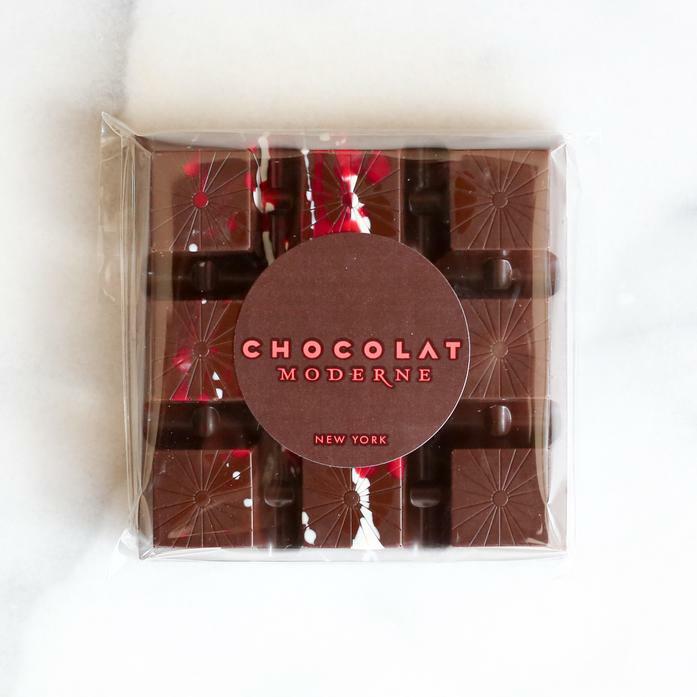 This "Avant-Garde" dark chocolate bar is filled with rich crunchy almonds and praline. It is speckle painted with natural white and red color for dazzling effect. Ingredients: Dark chocolate (cocoa beans, sugar, cocoa butter, soya lecithin, natural vanilla), cream, cane sugar, glucose, butter, almonds.